I recently decided to migrate my blog from WordPress to Ghost Blog and I discovered a few nuggets of wisdom along the way. There are many reasons why I decided to move from WordPress to Ghost Blog, and there are many opinions about this subject on the web, so I won't bore you with the details for my decision but suffice it to mention that I was simply looking for a simpler way to get blog posts out to the web and Ghost Blog seem to fit the bill perfectly. If look at the image above carefully you will see that I also added the 'Ghost' plugin on my WordPress installation. This was the key to easily exporting all my posts to the Ghost Blog markdown format. I also migrated all my media files to Cloudinary which proved to be a good option for a media hosting provider. Thus, essentially I made sure I decoupled my written content from any embedded images & media, which will prove useful in the future, more on this later. So I decide to host my Ghost Blog in Azure. Now, I want to be clear that I decided to host in Azure not because it is the easiest thing to do, on the contrary, it was a bit of a challenge just to get everything right at first, but I wanted to do this first migration by hosting it all in The Cloud and learn something in the process. 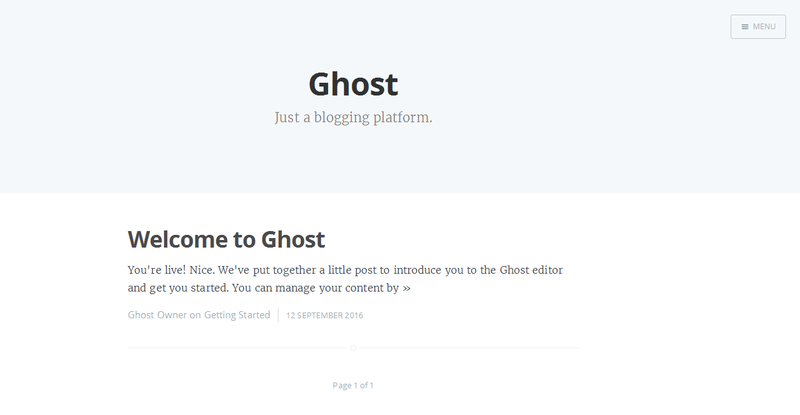 However, in the future I will most likely be migrating my blog to the excellent hosted solution offered by the creators of Ghost Blog Pro. Thus, decoupling my written content from my media files was a next logical step. I recommend you do the same, and hopefully with the tips I will mention here your migration to the Ghost Blog Pro edition will be painless if you decide to do so someday. Another thing that I noticed is that some of the features mentioned in the Ghost Blog Pro Support Documentation Page are not available on the basic open source version. This is completely understandable since they are essentially compelling you to upgrade to the paid version, support their efforts and provide a more rich feature set out of the box. I am only mentioning this so you are aware of the shortcomings if you do decide to host it on your own provider. However, if you can get to the installation folder where Ghost is, then you can accomplish most of the tasks that are mentioned in the Ghost Pro documentation. 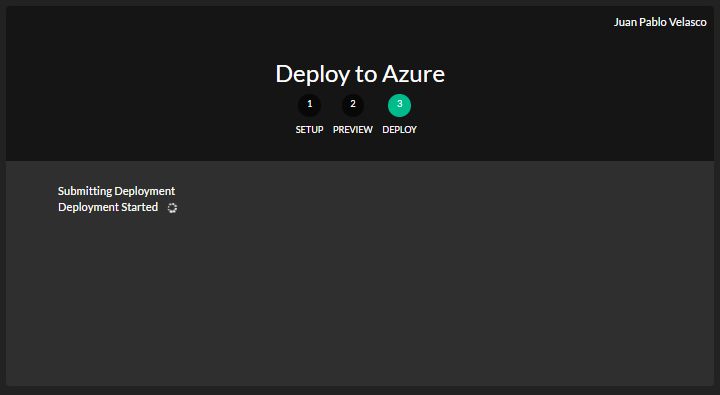 This repository offers a very nice and easy way to install Ghost Blog on your Azure stack with a one click deploy! administrator right away, so I just added the 'ghost' path to the host URL of my newly minted blog and signed up in under a minute! Andy Boutté and David Balderston You guys rock!! With the arrival of free domain certificate providers such as Let's Encrypt, other certificate providers have stepped up to the plate and are now offering high quality basic domain certificates for free. I got mine from Start SSL and it was a simple and painless process to obtain one. 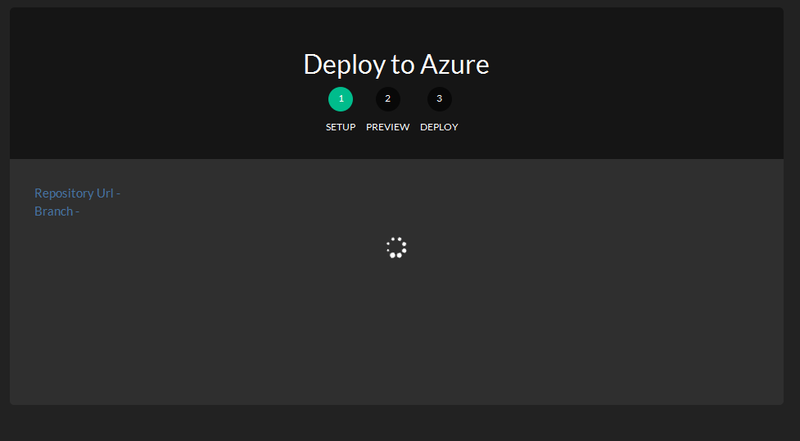 Then uploading it to Azure is simple as it is setting up the binding for the domain through an easy to use upload feature in the Azure portal. You simply click on the **Storage _ ** icon and follow the prompts to create a container, then you click on the **Schedule _ ** icon and choose the interval you want your backups to run at. 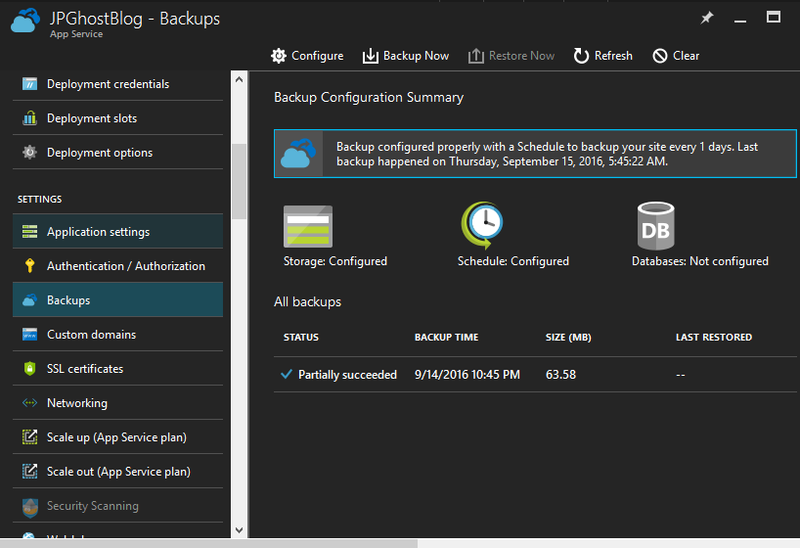 Running a Ghost Blog in Azure is possible and you can do it with a bit of effort and minimal out of pocket expenses. However, in the long run I believe the best way to host something like this will be using the Ghost Pro service. 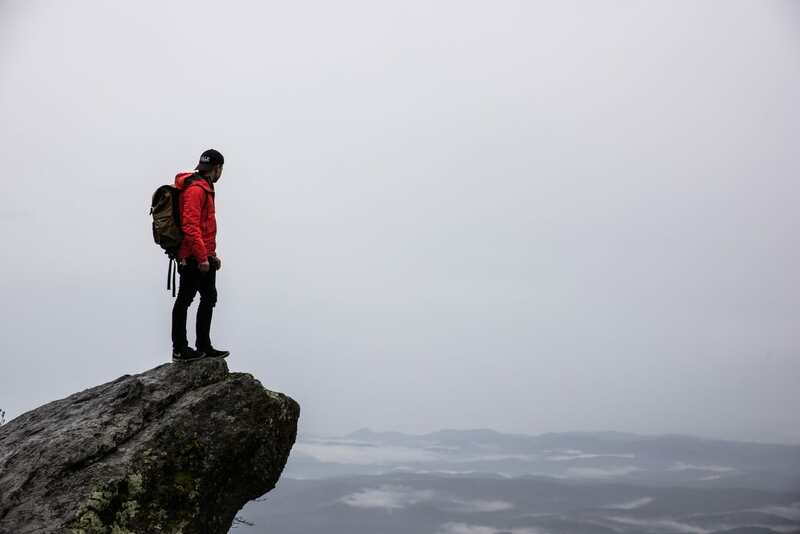 And I think this is what I will be doing in the near future, however, I anticipate that migrating from Ghost to Ghost will be a lot simpler and painless than hosting in Azure and having only myself to maintain the entire hosting process. In any case, I hope you enjoy the new look and feel of the blog. I will be adding Disqus again to my blog soon since unfortunately I wasn't able to migrate it with the first wave of requirements. Until next time, happy ghosting!